There are two things that are *technically* the same as they were before I had two children. And yet, in one of those cruel twists of motherhood, they bear very little resemblance to their pre-motherhood state. Since I’m such a huge fan of Microsoft Paint, I drew you all illustrations to explain what I mean. For the rest of us however, pregnancy, childbirth, and breastfeeding leave indelible marks on our bodies. And even if we get down to the number on the scale that we were before kids, there’s no guarantee that we will actually look like we looked last time. Or be able to wear our old clothes. Not that this is necessarily a bad thing, it just is. And something I didn’t totally expect. 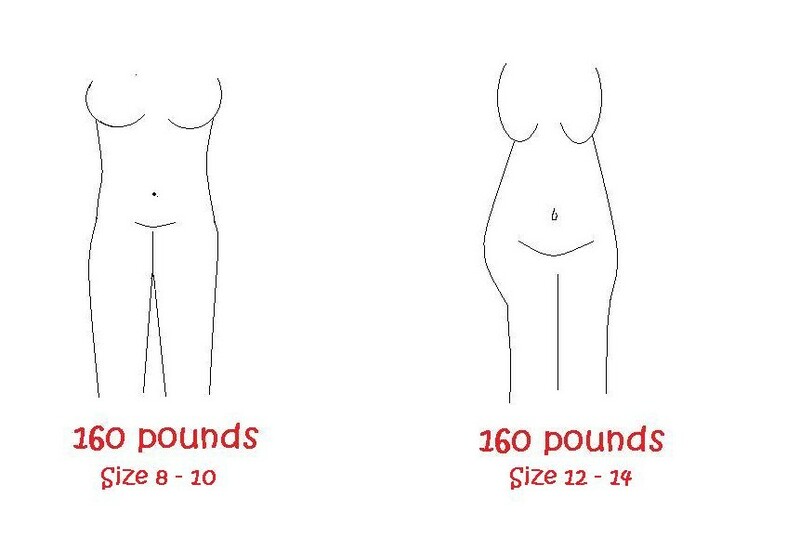 I mean, I always thought 160 pounds was 160 pounds was 160 pounds. Apparently this is not true. But it does give me an excuse to go shopping. 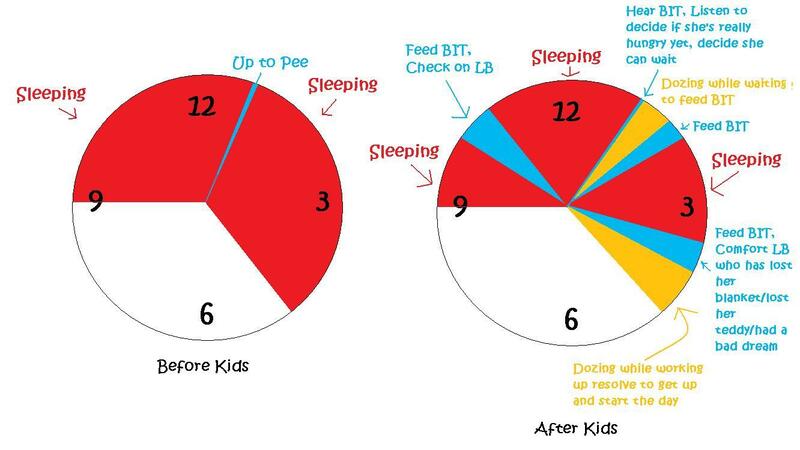 Before kids, I could go to bed and get 8 hours of sleep. After kids, I may still be in bed for 8 hours, but the difference is striking. I have to point out the the DreadBrewer does the 10pm bottle, so that section should more accurately be yellow and marked “Dozing while waiting for DB to come to bed.” And that oftentimes I will just get up after the 5:30 bottle and start the day, as that leaves me less groggy than the extra 30 minutes of intermittent dozing. There are times that I despair of ever getting a solid chunk of sleep ever again. Or going to bed at the same time as my husband. Or getting up when I want to get up in the morning. But then I remember that eventually, BIT and LB will grow up and they won’t need comforting or sustenance in the middle of the night. And I will be sad and want to sneak into their beds and snuggle up with them. At least, that’s what I tell myself when people tell me I look tired. This entry was posted in Babies and tagged BrewsterMama, Funny Pictures, Truths about Motherhood by BrewsterMama. Bookmark the permalink. I can say that motherhood is never what I expected but it’s always entertaining. So very, very true, all of it! Nothing fits the way it used to b/c things aren’t quite where they used to be anymore, and I know even more changes will be in store for my body once I wean the little guy. I’m with you on the sleep too, while I would love a full nights sleep, I don’t stress it too much b/c I know I’ll miss the snuggles when it happens.